Amboseli National Park is a rather flat, semi-arid basin lying below the most famous symbol of Africa, Mt Kilimanjaro, which rises dramatically out of the savannah to 5,895 metres (19,340 feet). A large part of the park consists of the alluvial dried-up bed of the seasonal Lake Amboseli, which in the rainy season can transform into a shallow flood. Towards the centre of the park are a series of swamps, fed by the underground rivers running off the mountain. It is here, closer to the water, that the concentration of wildlife intensifies, from the ever present herds of elephant to the colorful birdlife. Amboseli is 4,000 feet above sea level and experiences approximately 12 inches of rain per year. You can expect hot days, cool nights and low humidity. At altitudes of 4,000 feet and above, the risk of malaria is minimal. Amboseli is best known for its unrivalled views of Mt Kilimanjaro and the local elephant population. There are more than 1,000 elephants in the park’s ecosystem, featuring some of the largest in Africa. Amboseli is home to elephant families that have been closely followed and studied by world renowned researcher Cynthia Moss for over 25 years. Local guides know the families and their histories intimately. These are some of the biggest elephants seen in Africa, as they have been protected for generations. Wake up in the coolness of the early morning and watch the first few rays of the sun hit the blue Mt Kilimanjaro, Africa’s greatest mountain. Satao Elerai is an eco friendly luxury camp tucked away in the corner of the famous Amboseli Ecosystem, close to the famous Amboseli National Park. Satao Elerai Camp is located in a quiet, unspoilt, unique setting on a 5,000-acre private conservation area 12 km south-east of Amboseli National Park at the foot of Africa’s largest mountain, Mt Kilimanjaro. 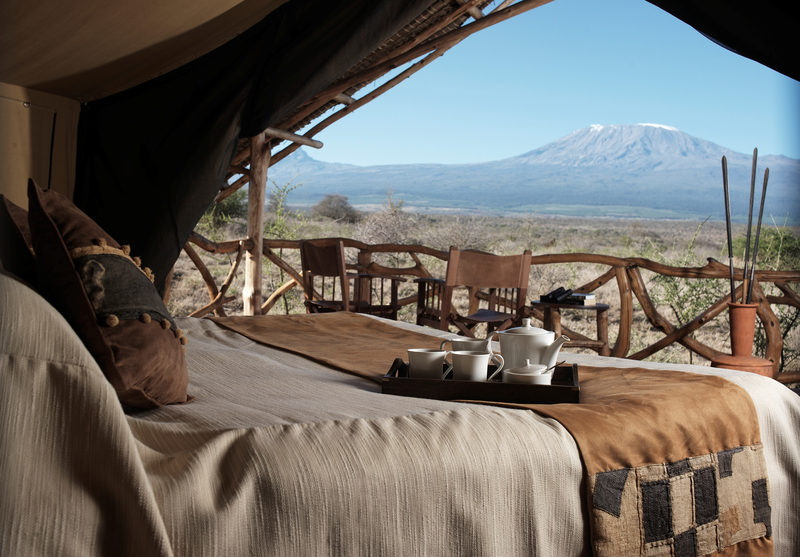 The camp looks down onto the Amboseli National Park in one direction and up to Mt Kilimanjaro in the other direction, giving clients what is arguably the best location of any camp in Amboseli. The camp has twelve luxury mountain-facing tents and five suites, all with en-suite bathrooms equipped with eco-friendly solar-heated shower, wash basin and flush toilet. Designed using natural rock and acacia wood, the en-suites have a design and feel unique to Elerai. 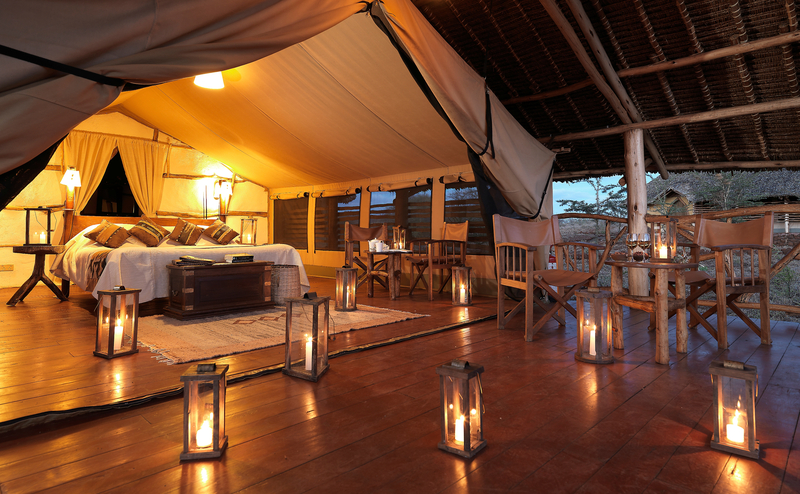 The tents at Satao Elerai Camp were built and designed to ensure that your stay will be in complete luxury. Large beds with top quality mattresses and pillows and a large luxurious duvet ensure that you will sleep through the night in total comfort. 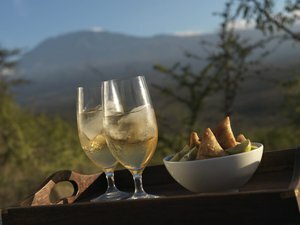 The tent flaps open out onto your own private verandah, complete with relaxing day beds, overlooking the plains below and Mt Kilimanjaro. 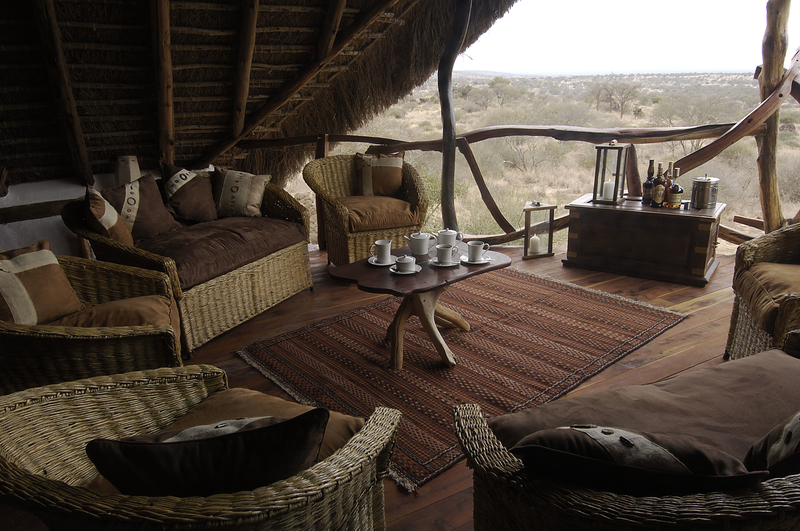 The rooms at Satao Elerai Camp were built and designed to ensure that your stay will be in complete luxury. Huge beds with top quality mattresses and pillows and a large luxurious duvet ensure that you will sleep through the night in total comfort. 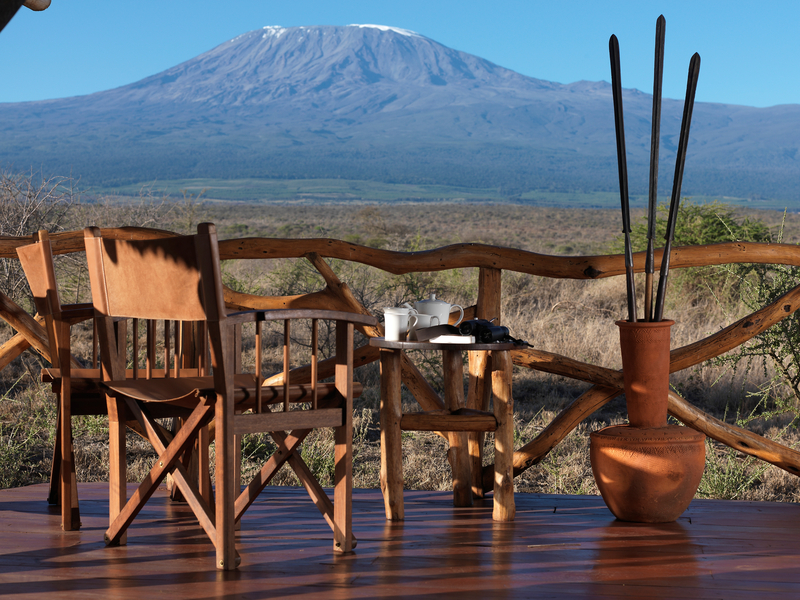 Large sliding doors open out onto your own private verandah overlooking the plains below and Amboseli National Park. Each room has its own bathroom with a view, designed using natural rock and acacia wood the bathrooms have a design and feel unique to Elerai. Dinners at Satao Elerai Camp are served a la carte. 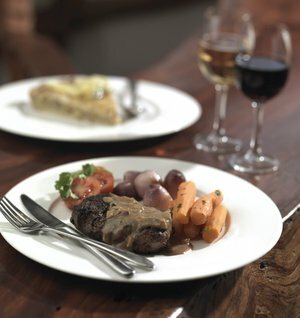 Using locally grown vegetables and fruit, top-class chefs prepare a wide variety of dishes to suit all tastes. On a clear night, tables are set out on the terrace where clients can enjoy a meal under the stars. In the early evening, the mountain is often quite clear and can be seen lit up by the moon from your dinner table. Satao Elerai is located on the Eastern side of Amboseli National Park in its own private conservancy, Satao Elerai Conservancy, that protects more than 5,000 Acres of natural wildlife area. The Camp was built to ensure the local Masai community with the economic incentives to set aside their land for wildlife conservation. Whenever guests are staying with us we are indebted to put forward our revenue for the betterment of the Elerai Masai society. The Satao Elerai Conservancy forms the critical wildlife corridor linking the Kilimanjaro Forest Reserve in Tanzania and the Amboseli National Park. The Conservancy is a project between the privately and community owned camp, the African Wildlife Foundation and the local Masai Elerai community. The Conservancy is characterized by a dramatic hilly landscape which is cut through by a 30 meter deep ravine coming down from Mt. Kilimanjaro. The general elevation of the conservancy is a couple of hundred meters above the Amboseli pan and therefore offers great view to the National Park. This large tract of land is owned by the local Elerai community of the Maasai people. The Conservation Area is an important dispersal area for wildlife moving in and out of Amboseli and actually holds a wider diversity of species than is found inside the park. Satao Elerai Camp, together with the local community, helps to protect this land from poachers, charcoal burners and encroachment from agriculture and development. The Satao Elerai project is a community project that has been along time in the making. The project has been a concerted effort between the Satao Elerai, The African Wildlife Foundation and The Elerai community. The concept is to provide a sustainable income from tourism for the Masai community in the area and to try and ensure that it is in the community’s interest to protect the wildlife for generations to come. Amboseli has been a location where human-wildlife conflict has been an issue for many years, and it is projects like these that can over time ensure that communities start to benefit from wildlife and to ensure they invest in protecting and securing their future for their own benefit. One of the biggest advantages of Satao Elerai Camp is that being located on its own private conservation area, clients have the chance to view wildlife in private surroundings. In addition, clients are given the opportunity to enjoy spectacular bush sundowners, night game drives and game walks on the conservancy, activities that are not available to the lodges located within the park. Amboseli National Park offers the amazing Amboseli swamps with the large herds of elephant and buffalo and the unique aquatic bird species. In contrast, Elerai Conservation area offers grass plains and acacia woodland forest which are home to the large elephant bulls, many giraffe and eland and a host of amazing bird life. It also has its own waterhole, frequently visited by elephants, giraffes, zebra, lesser kudu, eland and the big cats. During our stay at Satao Elerai we will enjoy game drives in Amboseli National Park and in the Elerai Conservation area.